You have been carelessly using your laptop for last few months, watching movies and chatting with friends for days and nights. And you have been negligent enough to eat and drink near your laptop. Result - the laptop screen is decked up with stains, while there is a sticky substance that has fallen on the keys of keyboard. Laptops were built to serve our personal needs, and so they have to undergo much rougher handling than their official counterparts. The biggest problem with laptop or desktop keyboards is their constant cleaning and maintenance. The small space between the keys serves as the dwelling space for dirt, dust and hair to hide. Fortunately, keyboards are also easiest to clean. You must have spent a good amount on buying your favorite personal laptop and installed in it the most effective antivirus so that its performance remains unhindered by the virus attacks, but what about the maintenance part? Like most other gadgets, laptops too demand dedicated maintenance if you want to ensure longevity. The laptop keyboard, in particular, is delicate and should be kept clean to ensure proper operation. Wondering an easy way to accomplish the same? Herein listed are some tips that will help you in cleaning your laptop keyboard. The first and basic step in cleaning a laptop keyboard is to switch it off. Disconnect or unplug it from AC. Also, remove any USB or memory devices attached to it. Now there are two ways to clean a laptop keyboard. The first one is without removing the laptop keys, while the second includes removing them. The first method is easy and involves less risk as compared to the second one which though tiring, promises extensive cleaning. If you have selected the easier way which is cleaning without removing the keys, compressed air is a good option to try out. The best way to clean out the dirt and dust particles is by using the compressed air. One can find compressed air in computer repair shops. Compressed air easily drags out the dirt, dust and any other undesirable particles that are stuck between the keys. Another easy way to clean the keyboard without taking apart the keys is with the help of mini-vacuums. 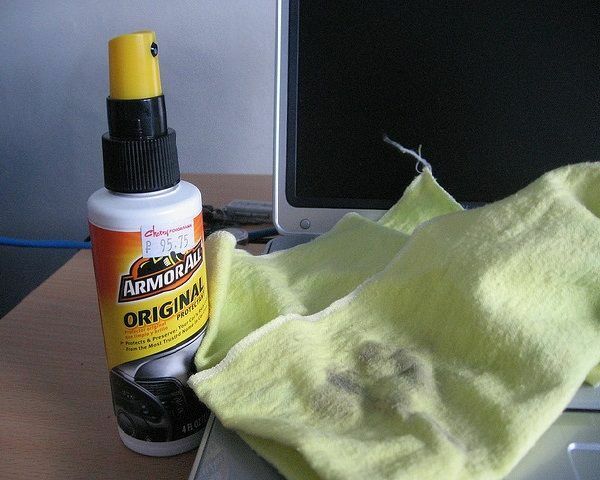 It is the quickest way to clean your laptop keyboard without much headache. If you have some time to spend and you can take enough pain to take off the keys to clean the keyboard, you should first make a map of keyboard for the future reference, lest you end up place the keys at wrong locations after the cleaning process is done. Now gently pop off the keys and store them somewhere safe to prevent any loss of keys. Take a soft and slightly moist towel and run it over the keyboard gently. Don’t wipe too harshly or apply too much water, or it would damage keyboard circuits. At the time of placing the keys back, make sure you clean them as well, lest all the effort goes in vain. Congrats! You have just cleaned your keyboard without losing any key and can now use it for years to come.